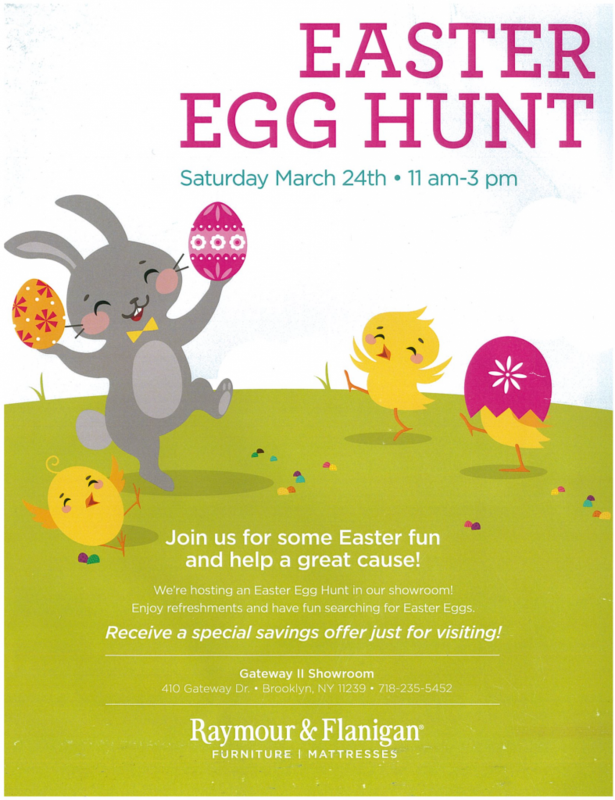 HeartShare Human Services and Kiwanis in partnership with Raymour & Flanigan will host an in-store family-friendly fundraiser benefitting children with autism on Saturday, March 24 from 1 p.m.- 4 p.m. 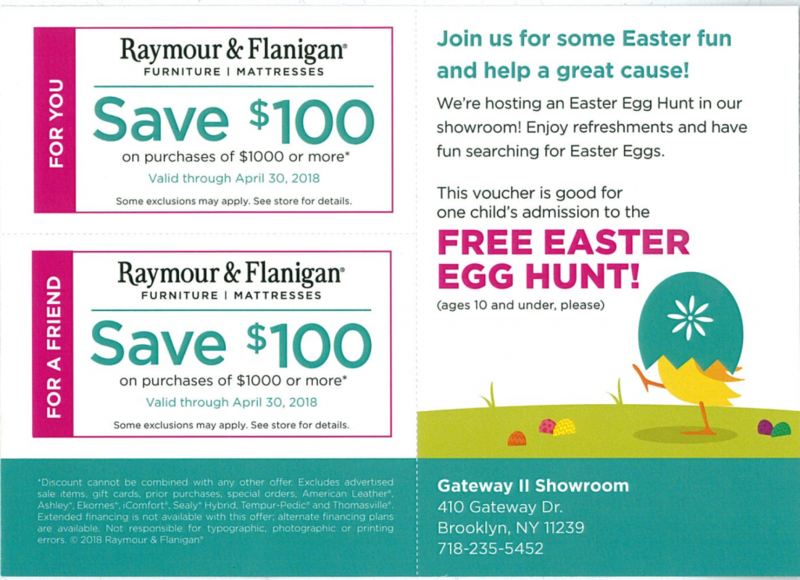 The event will take place at Raymour & Flanigan’s 410 Gateway Drive store (Gateway II Showroom) in Canarsie, Brooklyn. Last year, the event activities included games for children, refreshments and a raffle chance to win a $50 Raymour & Flanigan gift card. Raymour & Flanigan’s community outreach efforts in furniture showrooms throughout the North East consist of hosting in store events which bring people together to raise awareness and funds for charitable partners. HeartShare’s First Step Early Childhood Programs in Brooklyn and Queens serve nearly 1,000 students with and without disabilities. The HeartShare School, for children ages 5 to 21 diagnosed with autism, is designed to meet the needs of 80 children so they may become as independent as possible and participate fully with their families and in their communities. Raymour & Flanigan’s charitable donation program focuses on helping organizations which provide research, prevention, assistance and treatment of diseases affecting adults and children in our local communities.